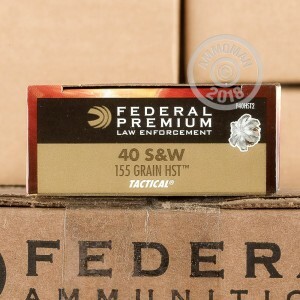 The 40 S&W was designed for the FBI after their current round had failed during a shootout in Miami in 1986. Specifically created for maximum penetration, damage, and stopping power, while still having manageable recoil, this round is fantastic for self defense. 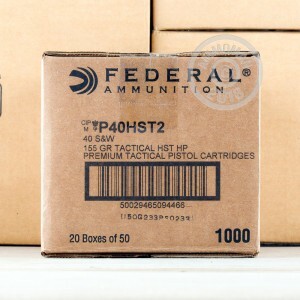 Federal Premium has been around since 1922, and has become one of the premier ammunition providers in America. 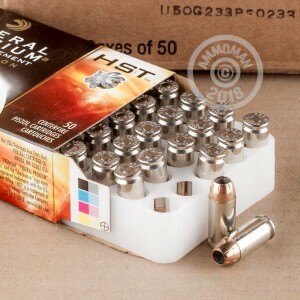 With These high quality, 155 grain HST HP rounds, you have just what you need to protect your family. Firing at 1160 feet per second, these rounds have the energy, stopping power, and penetration you need to stop an assailant. If you order this case, or any other products over $99 you will receive Free Shipping from AmmoMan.com!